Applications for Economic Education Grants of up to $750 each are now being accepted through Sept. 18, 2015. Click here for details. Prepare now for the Stock Market Game program 2015-16. Trainings are scheduled throughout September; register here. 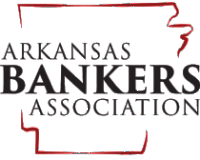 Apply for funding through Donors Choose, the Arkansas Securities Department and/or the Donna K. Wright Scholarship program. The Fall 2015 session runs Sept. 28 through Dec. 4, 2015. Questions: Contact Marsha at marsha@economicsarkansas.org or 501-682-4350.